Android adopted Gradle as the preferred build automation system a few years ago, but many Android developers are still unfamiliar with this open source tool. 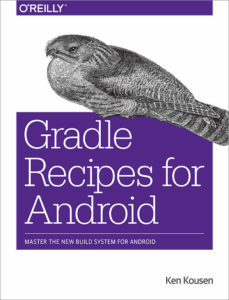 This hands-on guide provides a collection of Gradle recipes to help you quickly and easily accomplish the most common build tasks for your Android apps. You’ll learn how to customize project layouts, add dependencies, and generate many different versions of your app. 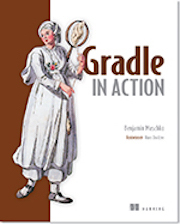 Gradle in Action is a comprehensive guide to end-to-end project automation with Gradle. Starting with the basics, this practical, easy-to-read book discusses how to build a full-fledged, real-world project. Along the way, it touches on advanced topics like testing, continuous integration, and monitoring code quality. You’ll also explore tasks like setting up your target environment and deploying your software. 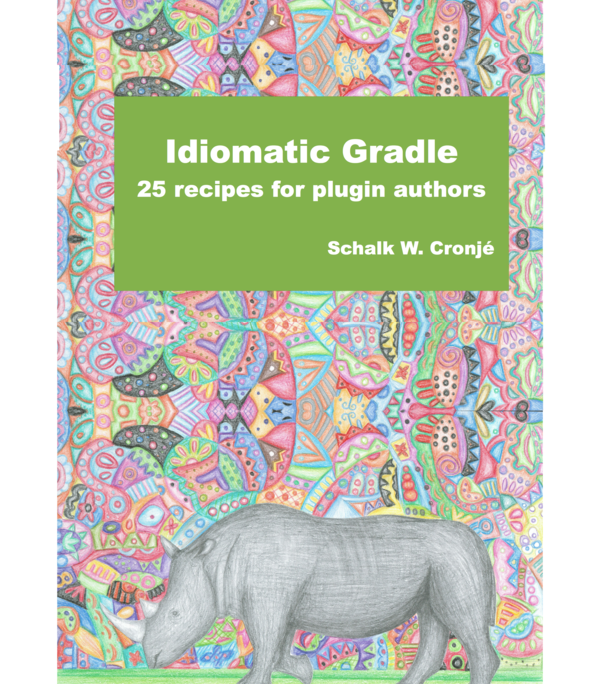 Write Gradle plugins in a form that extends the Gradle DSL in a readable and gradlesque way. Make it easy for consumers of the plugins to adopt it in their build scripts. These recipes provide a common ground for users as well as maintainers of a plugin. 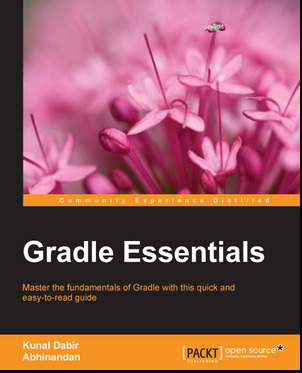 The book will start with the fundamentals of Gradle and introduce you to the tools that will be used in further chapters. You will learn to create and work with Gradle scripts and then see how to use Gradle to build your Java Projects. While building Java application, you will find out about other important topics such as dependency management, publishing artifacts, and integrating the application with other JVM languages such as Scala and Groovy. With Gradle, you can efficiently build automation framework along with some flexible alternatives to customized build logic. 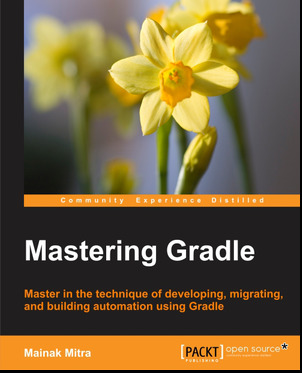 This book starts with sound basics about build automation and how Gradle fits into this automation. It then moves on to give you a good exposure on Groovy—a scripting language used to write Gradle—and helps you understand a key elements of Groovy programming language. In the following chapters, you will deal with task management and learn how to integrate Ant tasks into build scripts. 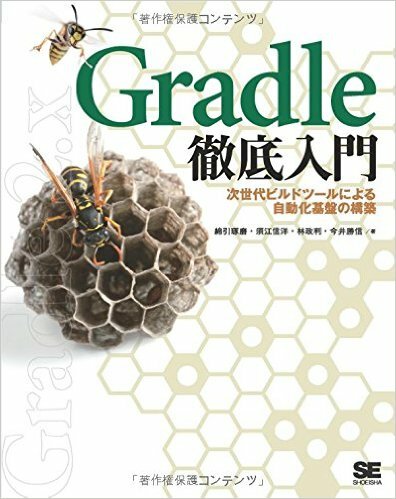 Furthermore, you will learn dependency management, plugin management, and its configuration techniques in Gradle. You will also get hands-on with building and testing projects using Gradle. You will then begin to cover diverse topics, such as Continuous Integration with Jenkins and TeamCity, Migration strategies, and Deployment, which enables you to learn concepts useful for Agile software development. 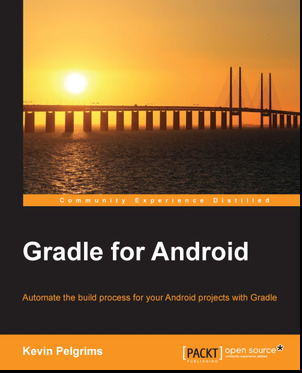 Finally, you will also learn how to create a simple mobile application using Android and explore how Gradle can help you to build and test the application. Gradle is the next generation in build automation. It allows you to define dependencies for your project in a clear way and also customize how they are resolved to suit your needs. It offers fine-grained control over how to publish your artifacts to Maven and Ivy repositories. Gradle Dependency Management defines dependencies for your Java-based project and customizes how they are resolved. You will learn how to configure the publication of artifacts to different repositories. Packed with plenty of code samples, you will understand how to define the repositories that contain dependencies. 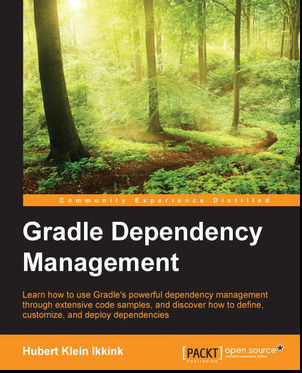 Following this, you will learn how to customize the dependency resolution process in Gradle. 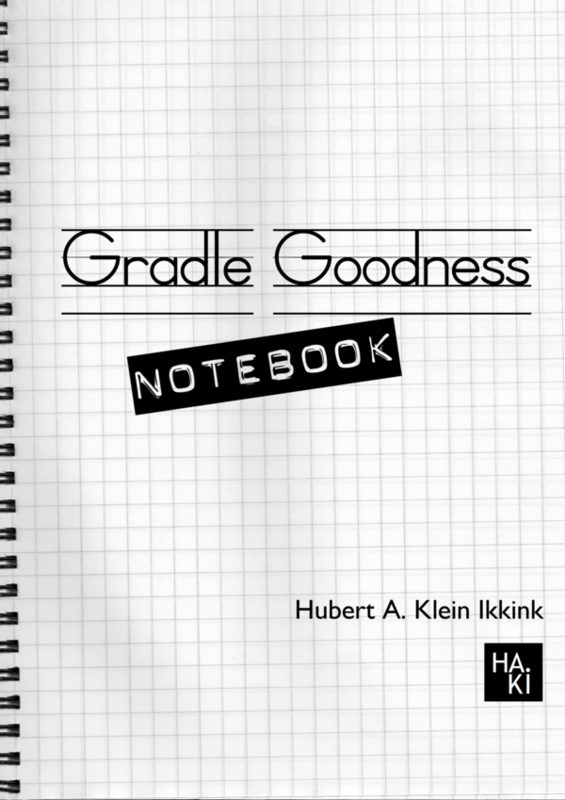 Learn more about Gradle features with code snippets and short articles. 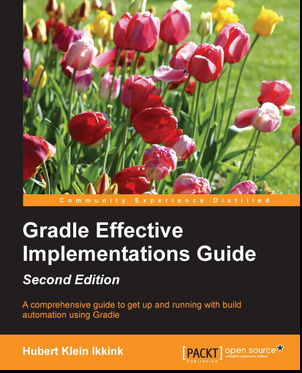 The articles and code will get you started quickly and will give more insight in Gradle. 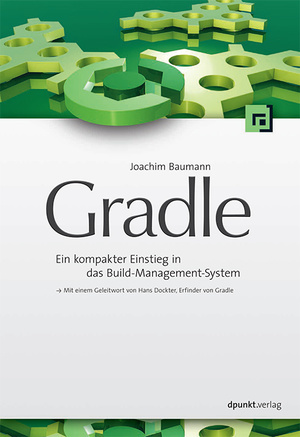 Gradle ist ein modernes Build-Management-System, das auf Groovy basiert und sich immer mehr zu einer Konkurrenz für bestehende Tools entwickelt. Gradle kann sehr gut an verschiedenste Umgebungen und Problemstellungen angepasst werden und zwingt dem Benutzer keine eigenen Vorgaben auf. Es ist in der Lage, auch komplexere Builds mit geringem Aufwand zu unterstützen. Anschaulich demonstriert Joachim Baumann die praktische Verwendung von Gradle in Szenarien unterschiedlicher Komplexität und bietet Ihnen so einen schnellen Einstieg in die Verwendung von Gradle. 이 책은 안드로이드 개발 경험이 있는 개발자 중에서 안드로이드 스튜디오와 Gradle의 기본적인 내용을 빠르게 학습하고자 하는 독자를 대상으로 합니다. 간단한 안드로이드 앱을 만들어본 경험이 있다면 누구든 이 책을 이해하는 데 문제가 없습니다. 책에 있는 예제는 Hello World와 간단한 버튼이 있는 UI 정도로 매우 간단합니다. 그동안 Gradle에 관한 책은 몇 권 있었지만, 안드로이드 개발자가 바로 따라 해보기는 어려웠습니다. 그래서 저자가 실무에서 겪은 내용을 알기 쉽게 풀어냈습니다. Gradle의 백미는 멀티 프로젝트의 활용입니다. 현재 이클립스로 진행 중인 개발 프로젝트가 있다면 단지 Gradle로 동일하게 변환하는 데 만족하지 말고 독립적인 기능을 별도 모듈로 구성하여 멀티 프로젝트로 구성해 보기를 추천합니다. 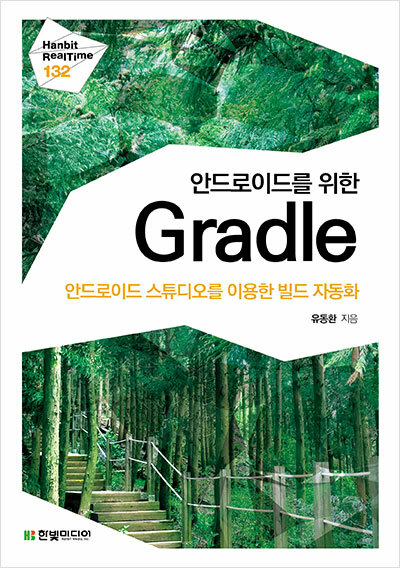 Gradle 내부를 이해하는 데 큰 도움이 됩니다. 이 책은 안드로이드 스튜디오 버전 2.0을 기반으로 하고 있습니다.